6.2" x 8.4" stitched on 14 count. 4.8" x 6.6" stitched on 18 count. 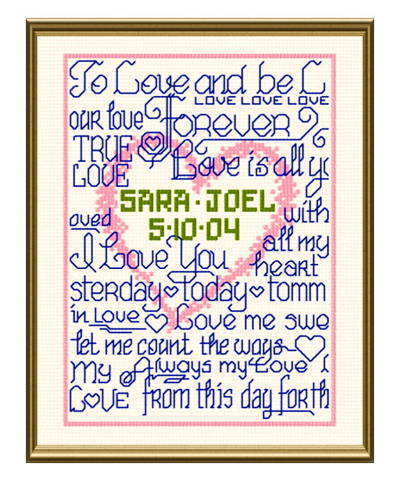 True Love Heart cross stitch pattern... Remember a perfect wedding with this simple and special design.